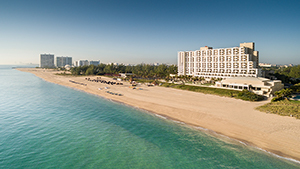 PHADA’s 2019 Annual Convention & Exhibition is scheduled for June 2–5 at the Marriott Harbor Beach Hotel in Ft. Lauderdale, FL. As always, the Annual Convention & Exhibition will provide the latest information and tools housing authorities need to run their agencies in busy and ever-challenging times. PHADA is planning several timely sessions on legislative, budgetary and regulatory matters affecting housing authorities. There will be several sessions to provide attendees with important information coming out of Congress and HUD’s Washington headquarters. Topics include the status of the debt limit ceiling and sequestration situation as well as FY 20 HUD appropriations. PHADA also plans to cover the latest on the Rental Assistance Demonstration (RAD) and the expansion of the Moving to Work (MTW) program. Another session will focus on the Public Housing Assessment System (PHAS). This will include potential changes that the Real Estate Assessment Center (REAC) may attempt to make later this year including possible new inspection-related requirements and some on governance. There will also be sessions on the new Annual Contributions Contract, the ongoing UPCS-V demonstration in the voucher program, and the Affirmatively Furthering Fair Housing regulation. New developments on HUD’s planned changes in the Family Self Sufficiency (FSS) program and Asset Management/Central Office Center (COCC) will also be reviewed. Some other topics that will be covered include effective tenant screening and security (including cyber security), pending legislative changes in the Violence Against Women Act (VAWA), an innovative accreditation pilot program, revised demolition disposition requirements, and the Dept. of Homeland Security’s proposed “public charge” rule. In addition to these innovative sessions for executive directors and their staffs, PHADA will provide training for commissioners. Expected sessions will cover effective strategic and succession planning, “repositioning” of HA assets, dealing with HUD’s budget uncertainty, ethics, and current events in housing, among other topics. These are just some of the planned sessions for the 2019 Annual Convention & Exhibition. Other sessions are now in the works and will be announced shortly. Look for more specific details on workshops, sessions and other convention highlights in the Advocate and on the PHADA website. Click here to download a PDF version of the registration brochure. The call for session proposals for our 2019 Annual Convention & Exhibition is now closed and proposals have been reviewed by PHADA's Professional Development Committee. If your session is selected, Sara Patterson will be in contact with you to discuss conference details in late January 2019. Should you have any questions, please contact Sara Patterson at spatterson@phada.org. The conference agenda and session information will be posted in early February 2019. An outline of sponsorship packages is available here. For more information on becoming a sponsor, contact Sara Patterson at 202-546-5445, or email: spatterson@phada.org. To reserve your booth, complete the Exhibitor Application. Room Rate: $209 including resort fee and complimentary wi-fi throughout hotel. A portion of the room rate is being used to offset conference costs. Hotel Reservation Policy: Register first then reserve your room! You will receive a code in your registration confirmation email that will allow you to reserve your hotel accommodations in the room block. Reservations at the PHADA group rate will be accepted on a space available basis through May 2, 2019, or until the room block is sold out. Any reservations in the PHADA room block without a corresponding conference registration may be canceled without notice. The Executive Director Education Program (EDEP) will take place May 31 – June 1 in conjunction with the 2019 Annual Convention & Exhibition. Class size is limited to 40 participants. NOTICE: EDEP registration is currently full. If you wish to be placed on the waiting list, please contact Norma Bellew at: nbellew@phada.org. Faculty: Jay Ortenzo, Nan McKay & Associates, Inc. Maintenance Management includes such diverse topics as budget preparation, staffing, quality control, work order systems, resident involvement, and insurance and liability. This one-day program addresses each of these issues and uses examples of well-maintained public housing authorities to illustrate the concepts learned. Faculty: Jeffrey L., Driscoll, Esq., Driscoll & Driscoll, P.C. This one-day course familiarizes executive directors with the principles of managing people to achieve established goals. Specific management tools, such as performance appraisal systems, are explained, and the components of a good personnel policy are discussed. Emphasis is placed on the role of the executive director in the leading and motivating housing authority staff. Consent to use photographic images: Registration and attendance constitutes an agreement by the registrant to use their image or voice in photographs, video recording, or other electronic reproductions by PHADA of such event or activities. By registering for this conference, you grant PHADA permission to share my contact information with exhibitors and sponsors. Need to register staff and/or commissioners at the Member rate? Current PHADA Members can add staff and/or commissioners to their housing authority record to receive the Member rate. Click here for a PDF with step-by-step instructions.